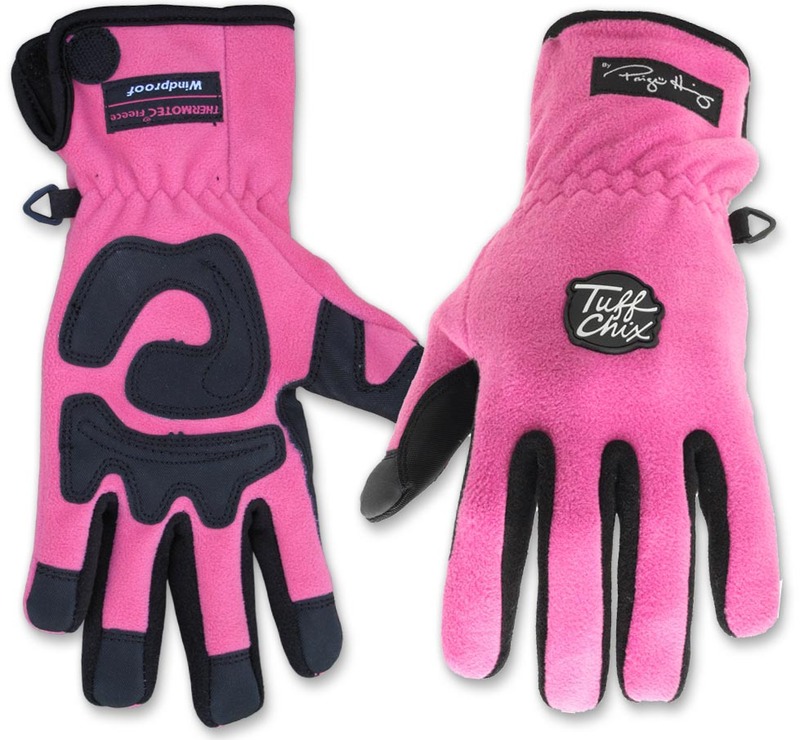 These aren't your average girly pink gloves that you'd pick up at Wal-Mart, wear for a season and then toss because they've fallen apart. 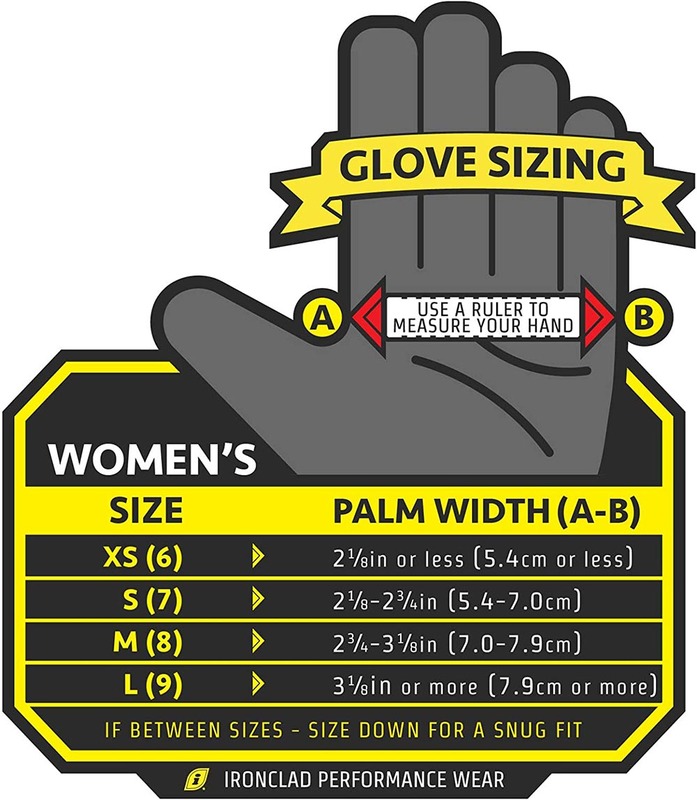 These are engineered by the folks at Ironclad - a manufacturer known for it's durable men's work gloves. They applied all that experience making good looking, good fitting gloves to these women's gloves. They're made of a space-age multi-layer Thermo-Tec fleece that's water resistant and wind proof. It's soft without being fluffy. The gloves are reinforced in all the stress points with abrasion resistant material for grip and durability. The cuff is a little longer and has a velcro spot so you can wear it open or closed. All this in a chore glove that cute and sturdy. Machine wash - air dry. Shown here are two pair that I personally have been wearing for a few years now. One pair is the original sample that I ordered from the manufacturer to try out. The second pair was returned by a customer who wore them for a while and then claimed they didn't keep her hands warm. Now, to clarify: if you live somewhere like North Dakota and are doing chores for hours in -20 degree weather, then these are not the gloves for you. But for the rest of us who don't encounter such extremes these really fit the bill. They're soft, flexible, and give you a LOT of dexterity for a winter glove. I can personally fasten all the necessary buckles needed to tack up and ride without taking them off. I can wrangle supplement bucket lids, dip and measure rations, coil up a muddy, recalcitrant hose - pretty much anything I need to do in the barn. And more: the back sliding door to my barn gets stuck when the ground freezes. Because of the way it's situated, normal digging implements just won't work to clear out the extra dirt and gravel that's accumulated and is heaving up, blocking the way. The best way to do it is with my fingers. I hack at the frozen stuff with a pick to break it up, then rake it all out of the groove with my fingers. I'd say that it's expecting a lot for a pair of $24. gloves to hold up to that kind of treatment for very long, but these two have survived the ritual without apparent wear. The top picture shows what they look like after a few week's hard labor - the bottom pair just came out of the washer. Yes, they clean up that good.